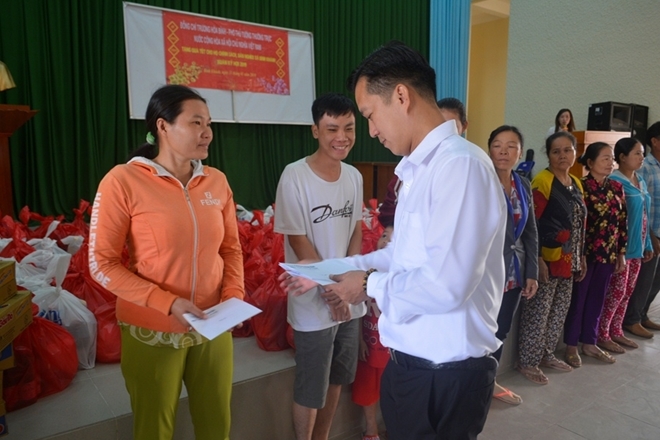 PSNews - On behalf of Permanent Deputy Minister Truong Hoa Binh, the Public Security Newspaper on January 30 visited and presented Tet gifts to 600 needy families in Can Gio District and Nha Be District, Ho Chi Minh City. 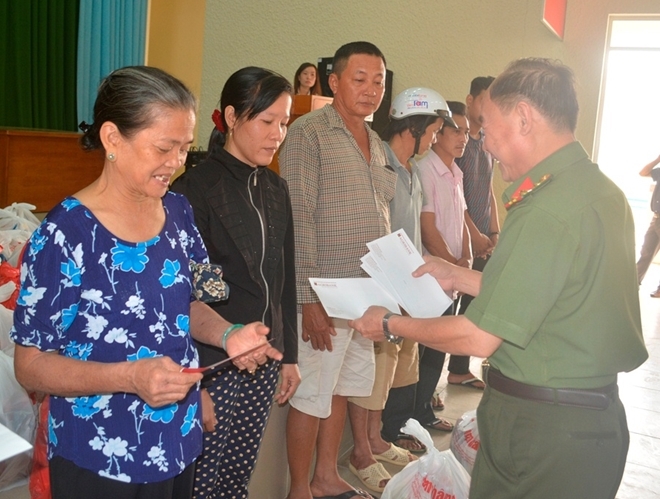 A charitable mission of Public Security Newspaper led by Senior Colonel Tran Kim Tham, Deputy Editor in Chief of Public Security Newpaper presented 450 Tet gifts to needy people in Binh Khanh commune and other 150 sets to benificiary families in Hiep Phuoc commune with a total value of VND 400 million. 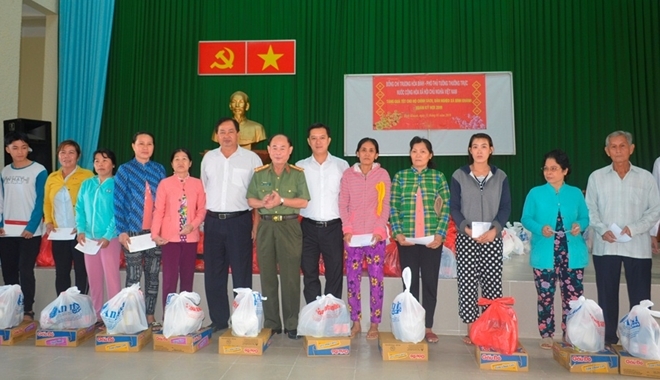 These meaningful gifts reflected the effort of the Public Security Newspaper, Viet Trung Paper Packaging, Vietnam Construction JSC, Agribank Can Gio and families of Mr. Vo Van Bay, Mr. Muoi Tri and Mr. Minh Trung. Senior Colonel Tran Kim Tham said that leaders of the Party and State always have policies to take care of Tet for needy people. As a land with heroic revolutionary traditions, Can Gio - the coastal district of Ho Chi Minh City has had many positive changes over the past years. However, there are needy families living in this area. 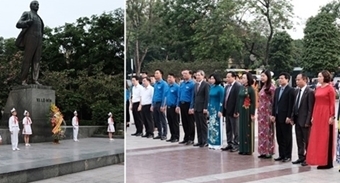 Therefore, each year, Permanent Deputy Prime Minister Truong Hoa Binh spends his time to visit and encourage them. On behalf of the Binh Khanh authority and local people, Deputy Secretary of the Binh Khanh Commune Party Committee Pham Van Tang thanked Permanent Deputy Prime Minister Truong Hoa Binh, the Public Security and donors for special gifts, on the occasion of the upcoming Lunar New Year. He also wished people a Happy New Year with fortune and good health.